The smiles today are just to say we have been away for a couple of nights. NO internet access. It was serenely peaceful. But it’s also nice to be back home. Some of you may have noticed my absence. We were away for two nights at a Bed and Breakfast in the Adelaide Hills for TRH’s (The Retired Husband) birthday. I do have some fabulous photos to share with you next week. Just a couple of teasers here to whet your appetite. 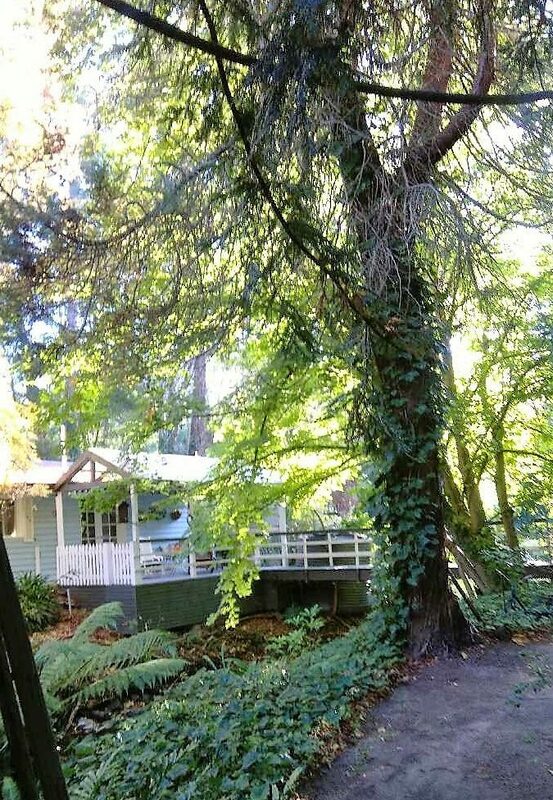 Here it is, nestled amongst the trees in a little valley next to a creek. We were entertained by the local birdlife. 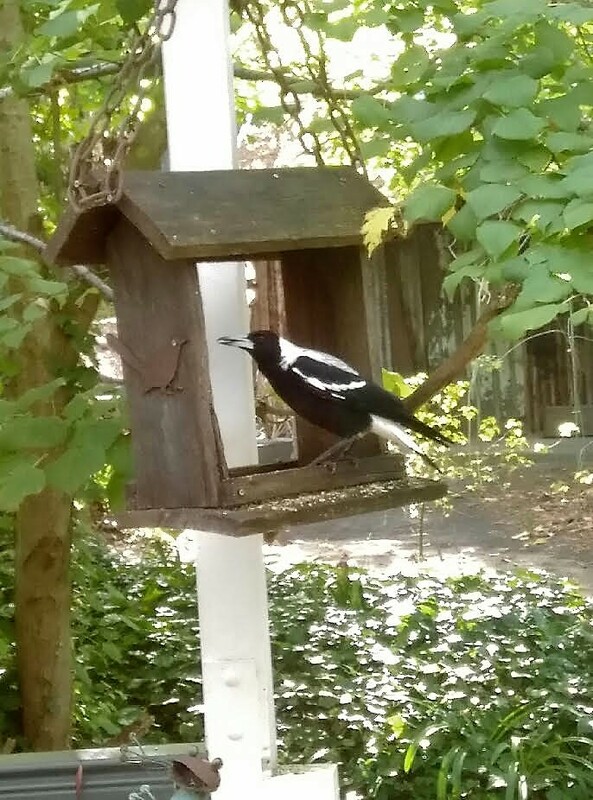 This is a magpie – South Australia’s bird emblem. Click on the link below to listen to some Aussie bird song. Beautiful pictures, looking forward to seeing the rest. Looks like a nice relaxing spot to me Raili. It was really pretty, Janet. Beautiful pictures , nice calm place . Love that town! There used to be a wonderful op shop there called “Tootsies” I used to love going to. I read years ago that whenever Molly Ringwald visited Australia she would go there as it was her favourite. I miss it. I am excited to see the pictures as I have always wanted to stay in that B and B. We have been going to that pizza bar there for years, their coffee is pretty good. It’s so lovely to sit out the back there along the creek. You’re right, it is a beautiful place! Wonderful pictures, anticipating seeing the rest…Seems you had an incredible time.. It was a very pretty place. He is a noisy little bird lol.. 😉 So good that you had a break away from it all for your hubbies birthday.. And sometimes no internet is bliss.. Looking forward to the picture reveals next week..
Great pictures, awesome post! Thanks and have a great weekend! Hello George 🙂 Peaceful and serene. And just a *bit* frustrating. Blissfull planet…I notice you always stay in touch with it. You bring a positive sense of calm, laced with constant giggling undertones, to the blogosphere.